The World Travel Market is an annual event that takes place at ExCeL, London. It is the leading global event for the travel industry and provides the perfect opportunity for businesses across all sectors to meet, network, negotiate and conduct business. It is the event of the year for many businesses in the travel industry including tourist boards, airlines, cruise companies, hotels and travel technology. The WTM provides the perfect opportunity to network with other businesses in the travel industry and gain meaningful new leads. Around five thousand companies, representing one hundred and eighty four countries and regions, exhibit at the World Travel Market. Attending the exhibition will provide a great opportunity for you to connect with other participants and improve your business opportunities. You will also find the content invaluable and will acquire market intelligence that will give you an advantage over your competitors. There are three hundred and fifty speakers at the World Trade Market. This year the event will be opened by Sir Stuart Rose, the former chairman and CEO of Marks and Spencer. Sir Stuart will be interviewed by veteran BBC presented Stephen Sackur about his career and the advice he has to offer those starting their own businesses. The World Travel Market takes place between the 4th and 7th November. Although the events taking place on Monday are for invited exhibitors only, there are plenty of things happening on Tuesday, Wednesday and Thursday, open to all professionals in the travel industry. On Tuesday the main focus will be on UNWTO Ministers’ Summit. Wednesday’s event plan will focus on responsible tourism, as it is World Responsible Tourism Day and Thursday will be dedicated to the World Travel Market’s business day. A number of different sessions and events will take place over the four days including speed networking sessions, where you can get to know the other exhibitors and the Travel Tech show, where you can learn about all the latest developments in travel technology. With so much going on at the World Travel Market, it will take superior organisation skills to make sure that you attend all of the talks and demonstrations that interest you. In order to make planning your WTM experience a little easier, the company have created the My WTM Application. The application works a little like a digital diary, enabling you to plan and personalise your experience. Using it, you will have access to all of the information about the event, along with its exhibitors, speakers and other event features. You can also use it to connect with exhibitor’s and make appointments with companies you are interested in doing business with. It is certainly a handy tool that will improve your WTM experience. The application can be downloaded to computers, digital tablets and smartphones. After a hugely successful four day run last year, WTM are hoping to further their success this year with an increase in visitors and event participation. If you are interested in exhibiting at the event, there is still time to get your application form in! You will need to visit the WTM website and submit a stand enquiry which will be reviewed by the panel. 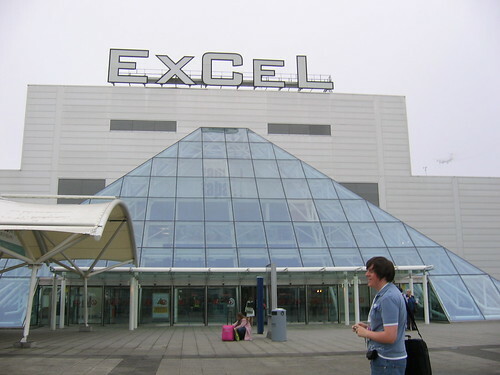 The World Travel Market is hosted annually at the ExCeL in London. If you are a professional working in the travel industry, looking to increase your brand exposure and gain meaningful business leads, then this is a must-attend event! Not only will you benefit from gaining new business contacts and connecting with other businesses, but you will also gain access to the latest upcoming trends and forecasts in the industry, which will help you to improve your business plans. 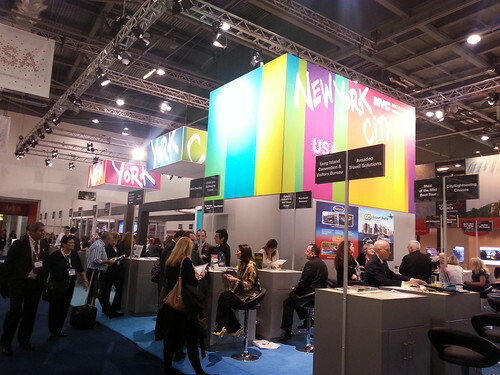 The World Travel Market runs from the 4th to the 7th November 2013 at ExCeL, London.